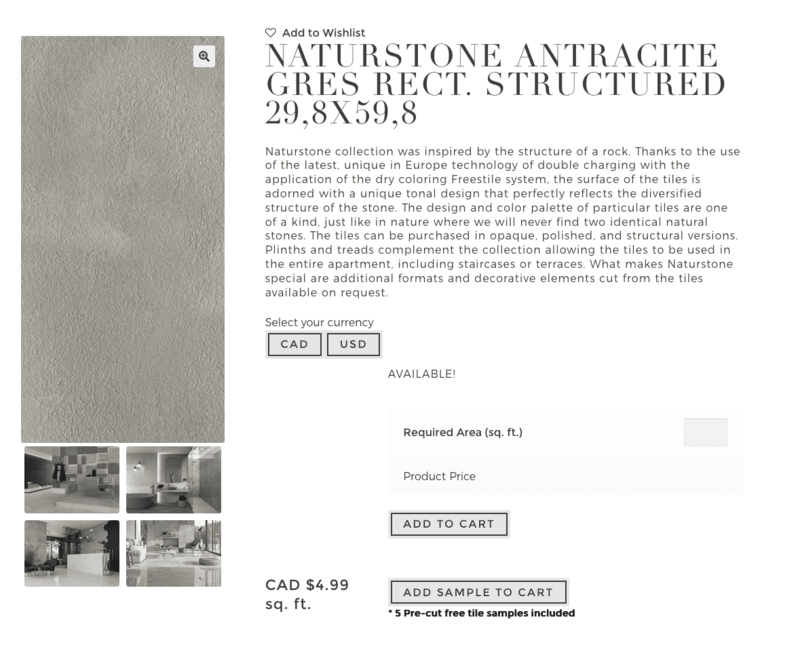 E-commerce design and development for a company specializing in European tile. Eurcan tile is a very recently launched company, we were given a chance to design and develop their website from the ground up, with none of the restrictions or limitations that would come from an existing company. We worked with the EurCan team to design an elegant, beautiful website that has a subtle, alluring style, however it does not overshadow the products on the website. This website is a fully functioning E-commerce website that provides users with product inspiration and helps people with envisioning the project as it comes to light. We worked with a UK company who development the Tile Visualizer system that we implemented into the website.